, which is why Hypetap chief technology officer Dhruv Singh says the tool is "critical for brands" right now. 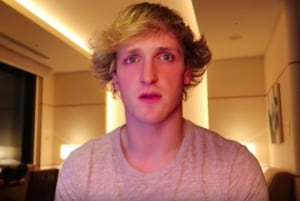 Its launch follows influencer PewDiePie’s anti-sematic YouTube video, then Logan Paul’s Suicide Forest clip and yesterday, AdNews revealed one of Asia’s top influencers was imitating a member of Isis on her YouTube channel. Hypetap’s influencer technology uses machine learning and artificial intelligence to match brands with the right influencers. The tech suite will now include a profanity audit product to reveal controversial language in posts and associated commentary. It also includes a conflict assessment tool to help the campaign management team ensure potential influencers have not worked with, or endorsed, a competing or conflicting brand over a given time period. Do you consider this content brand safe? Singh says the new tool is critical for brands at a time when authenticity and transparency are at the forefront of conversations around digital marketing. “We’ve been using sophisticated algorithmic methods and artificial intelligence for years to vet influencers based on content alignment. Our new tools take this concept one step further, automatically identifying specific language or previous brand partnerships that don’t align with a brand’s persona or marketing objective,” he says. A total of 86% of marketers reported using influencer marketing in 2017, according to content marketing platform Linqia, but there is still criticism of the marketing channel, but Hypetap co-founder Detch Singh is confident and believes the tools will move it into the next stage of maturity. “This tool allows brands to de-risk their marketing mix through influencer marketing rather than less brand safe channels,” he says. Yesterday AdNews reported XiaXue, a popular Singaporean influencer, said that brands are too "nitpitcky" about brand safety, raises serious concerns about the suitability of self-made internet sensations as brand ambassadors. 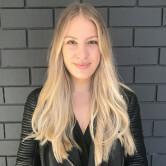 Melbourne-based influencer agency Hypetap has launched a product to help better vet influencers. There’s no doubt that influencer marketing is susceptible to the brand safety problems plaguing the digital industry, which is why Hypetap chief technology officer Dhruv Singh says the tool is "critical for brands" right now.